Yes, there is an election tomorrow. Yes, it&apos;s only three weeks to the day since we last voted. Yes, the next election that all Californians will be voting in is on May 19th. But let&apos;s first focus on tomorrow. Look at the map, do you live somewhere close or within those boundaries? You can confirm by plugging your address into this website. If you&apos;re one of the winners—ahem, 393,017 registered voters in Senate District 26—they&apos;ll tell you where your voting location for tomorrow. So what&apos;s going on? 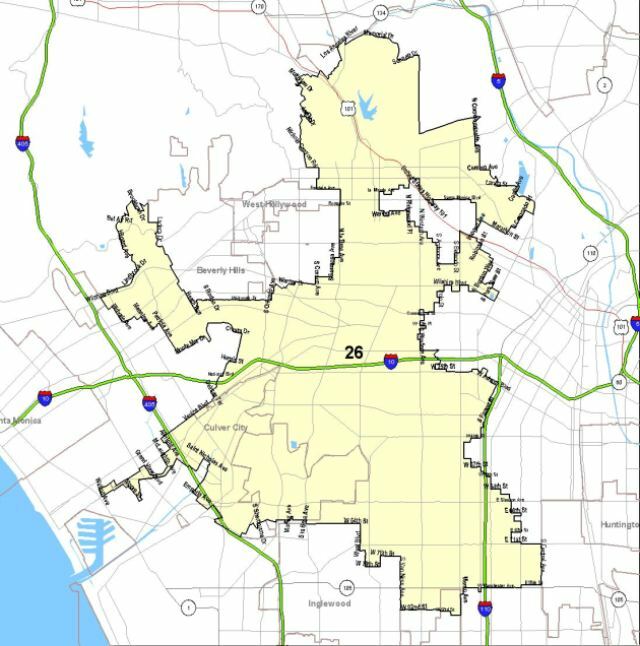 When then-State Senator Mark Ridley-Thomas won a seat on the LA County Board of Supervisors on November 4th, it left his 26th District State Senate seat empty, which prompted a special election for it. So why couldn&apos;t this be consolidated into the March 3rd Election? This is a very good and legitimate question considering the cost of tomorrow&apos;s election is $2.2 million. It all comes down to the legal timelines—a special election for a state seat has to be declared by the governor followed by a period for people to file declaration of intent to become a candidate. Then there is a campaigning period before election day. Simply stated, the March 3rd regularly scheduled election and the special election did not fit into each other&apos;s timelines. Frustrated? Everyone is, including elected officials, especially Ridley-Thomas and Assemblymember Curren Price, who is a candidate in tomorrow's election. In his resignation letter to Governor Arnold Schwarzenegger, Ridley-Thomas asked him to call the special election on March 3rd. At the same time Price took the lead on legislation to consolidate the city election with the state one. But with the legislatures focusing in on the $40 billion deficit in the state budget and Schwarzenegger's office balking at the interpretation of legalities on the election code in regards to special elections (the language is especially hard to understand), the consolidiation of the two elections never happened and on December 10th, the governor declared (.pdf) a special election for March 24th, avoiding the intent of tomorrow's mess--a $2.2 million election with voter turnout at an extreme low. To find out more about Price and the other candidates, Smart Voter has collected their information. The blog BikingInLA has also asked each candidate questions about their views on bicycle legislation. *Added: LA County Registrar-Recorder/County Clerk writes in to expand and clarify current law, as the state and county interpret it: "The Governor's declaration calls for the special election to fill the vacancy on May 19, which corresponds with the Special Statewide election called to deal with the state budget measures. Per Election Code the special primary election is to be conducted eight weeks prior to the set election date, which is how we get to the special primary election being held tomorrow. If a candidate receives a majority of the vote tomorrow (50% + 1), they will be deemed elected; otherwise the candidate of each party receiving the most votes will advance to a runoff to be conducted as part of the May 19 statewide election."